Has music director duo Sachin-Jigar been signed to compose songs for Race 3? The duo have been music composers for all the films directed by Remo D Souza. Also they've previously composed two songs for Salman Khan Films' Hero. oh no! why not Pritam? 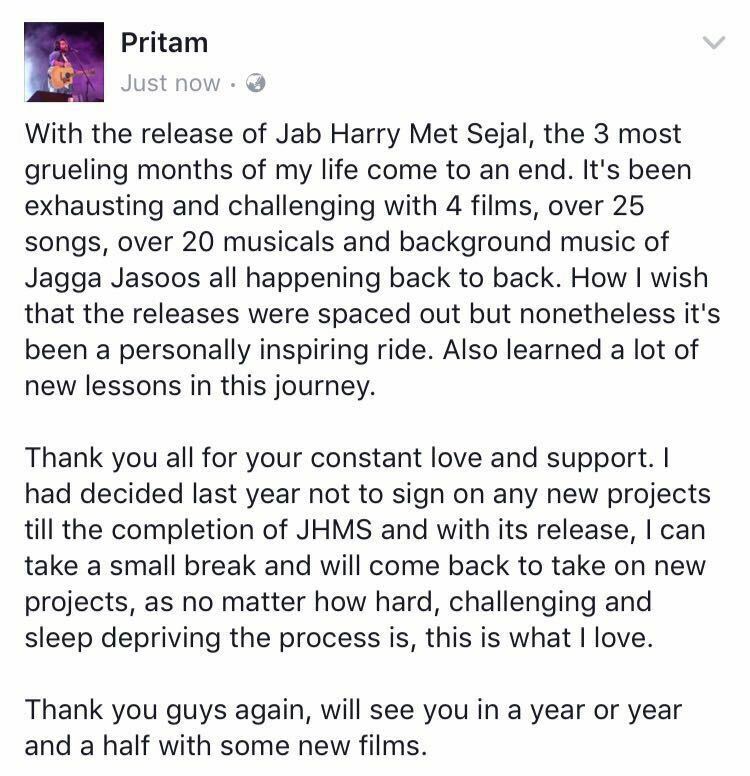 Pritam has taken a sabbatical post Jab Harry Met Sejal. It could take 1 or 1.5 years for him to return back. Also his spat with Raabta makers could also be the reason. hmmm his music did seem to be losing a little charm by the end there. I'm glad he's taking some time off for himself. let's see what the new guys cook up! I wish Himesh isn't part of it. Let's see.. He is not in his form. Even in PRDP he only managed to give 2 good songs. Jumme Ki Raat type shouldn't be added to Race franchise. Salman will make sure music accha ho. Chartbusters ho. He had a great ear for music imo. Par usse bada kaam.......daisy, bobby jaison se acting kaise karwaoge bhai? Your expectations from the music of Race 3? Considering Remo will never let music & choreography go down. Shooting underway for the first song of Race 3. Check out the pic of Remo D'Souza & Ramesh Taurani with the uber cool Salman Khan. This is an awesome look for Race 3.